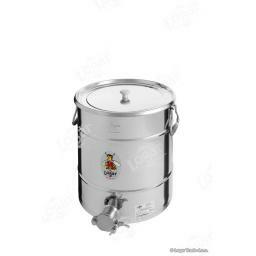 This category contains our range of honey processing equipment. Honey is a high quality foodstuff which deserves careful preparation and handling. 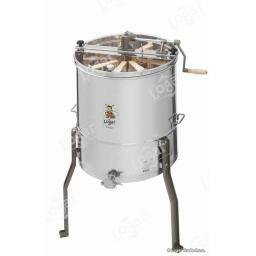 As the honey is taken from the extractor most beekeepers give it a quick strain in a simple stainless steel strainer like our double model. After this the honey is usually left in buckets or tanks to settle and depending on the source of the nectar, to crystalise. Before bottling for sale or private consumption the honey needs further straining to remove all visible specks and in the case of set honey it needs to be melted first. Our Dana Api Therma greatly speeds up fine straining of liquid honey and is also designed to cope directly with set honey.